We had a wonderful kayak and snorkeling tour with our guides Boo and John. They were so knowledgable about the history and land. There were 10 of us and we had a great day and highly recommend Aloha Kayak to anyone taking a trip to the Big Island of Hawaii Kealakekua Bay! Poor students always waste their time in the different unprofitable activities at best-dissertation service. They always spend their time with their friends and waste their time. Time is very important for their good future if they always waste their time then they cannot able to make their future. Join in and write your own page! It's easy to do. How? Simply click here to return to Customers Reviews and Pictures. Aloha Kayak Co. is dedicated to providing useful information to the public about Kealakekua Bay and its surrounding areas, through our facilities, tours, and website. 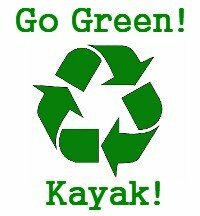 Aloha Kayak Co. does it's best to educate the public on the potential dangers of the ocean and ocean entry areas to protect the user and the cultural and natural resources. Please read all signs posted and be aware of your surroundings and ocean conditions at all times. Keauhou offers easy access to people on tight schedules in the Kona area. We have morning tours to sea caves and cliffs, short afternoon tours with great snorkeling, and night time manta ray tours! 82-5674 Kahau Place, Captain Cook, Hi 96704, 1 mile from breathtaking Kealakekua Bay • P.O. Box 1561, Kealakekua, HI 96750 100% charge on 48 hour or less notice cancellation policy. Prices, times, locations and tour itinerary may change due to ocean conditions without notice.